I can't help but think of those gag X-Ray spec glasses when I see this. I am envious that you have a fully body x-ray machine at your disposal to make art with. I guess it also comes in handy if you ever need to check if something is broken before you go and wait 3 hours at the emergency room. It was nice to see that you were able to collect enough “debris” here to create this work. 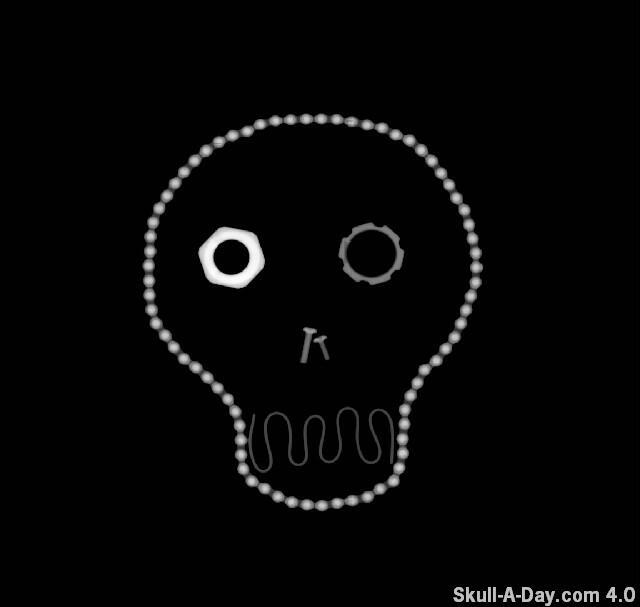 Thank you for sharing your work with us and please keep us posted if you get a chance to do more X-Ray skulls. Here is another X-Ray Skull that the Skullmaster did back in the original year as inspiration.